This dessert isn’t just famous, it is IN-famous. This dessert is also FAR from healthy, but it is divine. And once you have had one bite, you can easily become addicted…hence the name. SO be careful and don’t say I didn’t warn you! And with a name like Crack Pie, I totally was intrigued and wanted to make this as a birthday surprise for my dear sweet-toothed friend, Marlee. 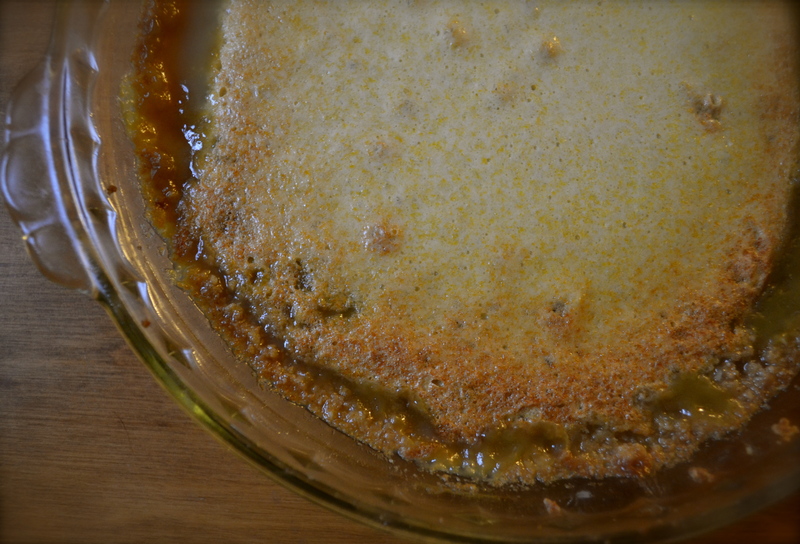 It has an oatmeal cookie crust and oooooooey gooooooey buttery custardy sweet middle. You will either pass out from sugar overload or come crawling back for more. Personally, I do not have a major sweet tooth and was only able to handle half of a slice, but my husband gladly ate his slice and finished off mine as well. I think I might have to enroll him in a 12-step group to stop his cravings. This pie is the brain child of the pastry chef Christini Tosi at Momofuku Milk Bar in New York. It makes two 10-inch pies (I used 9-inch pies and adjusted the cook time to take into account the thicker filling). It can be kept refrigerated covered for up to 5 days or even frozen for up to a month. 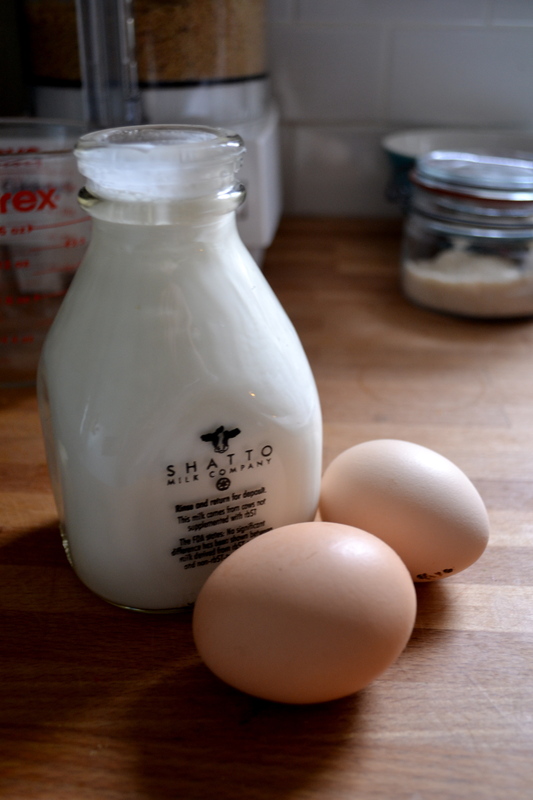 Can you tell which two eggs in the above picture are farm fresh from cage free chickens? I only had two left and had to supplement with store-bought eggs. Be careful if you make this recipe….it’ll make people fall in deep smit for you. Preaheat oven to 350 degrees F.
Combine the butter and sugars in the bowl of a stand mixer fitted with the paddle attachment and cream together on medium-high for 2-3 minutes, until fluffy and pale yellow in color. Scrape down the sides of the bowl with a spatula. 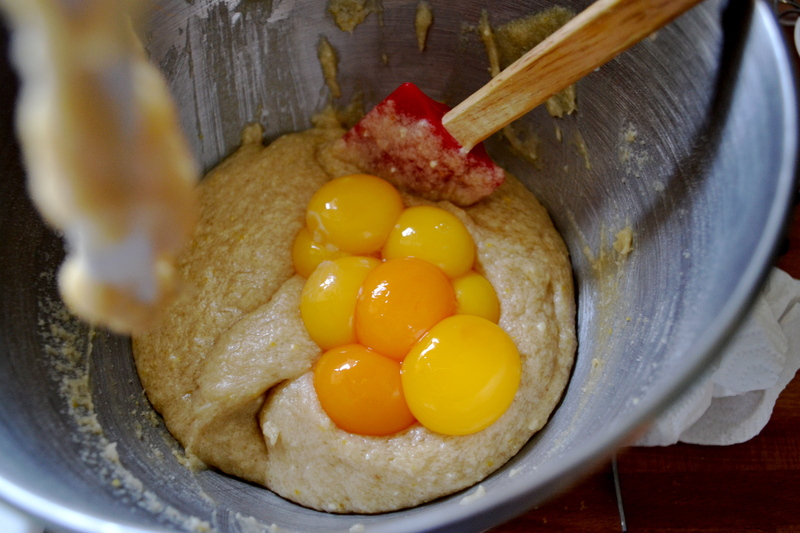 On low speed, add the egg yolk and increase the speed to medium-high and beat for 1-2 minutes, until the sugar granules fully dissolve and the mixture is a pale white. Mix flour, oats, baking powder, baking soda, and salt in a separate medium bowl. Add the flour mixture to the butter and sugar mixture and mix on low speed. 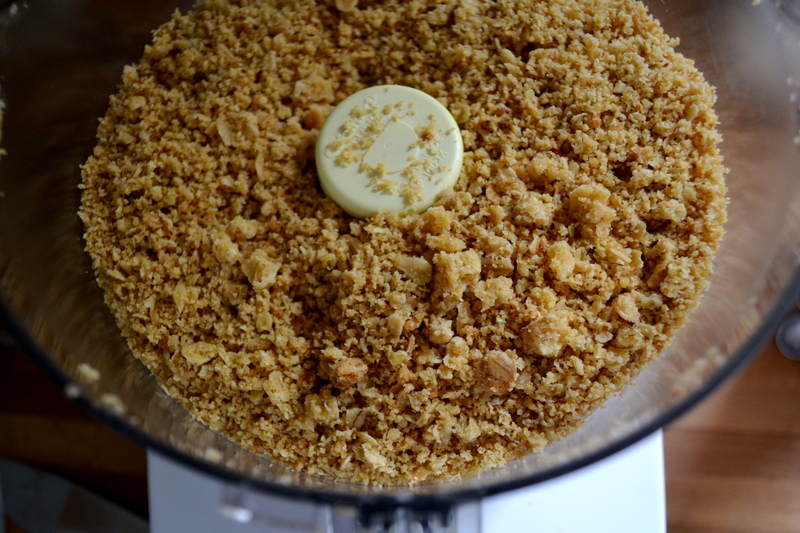 Mix for 1 minute or until the dough comes together and all dry ingredients have been incorporated. The dough will be a slightly fluffy, fatty mixture in comparison to your average cookie dough. Scrape down the sides of the bowl. Spray a cookie sheet with cooking spray. Place the cookie dough in the center of the pan, spreading it out with a spatula until it is ¼-inch thick. It will not cover the entire pan. Bake for 15 minutes, until it resembles an oatmeal cookie. The cookie will be buffed with a slightly caramelized top. Cool the oat cookie completely before using. To make this ahead of time, wrap well in plastic and refrigerate for up to 1 week. Combine the sugar, brown sugar, milk powder, ground corn meal, and salt in the bowl of a stand mixer fitted with the paddle attachment and mix on low speed until evenly blended. According to Christina Tosi, a stand mixer IS A MUST. Hand whisking supposedly will not provide you with the same consistency as a stand mixer. Add the melted butter and paddle for 2-3 minutes until all the dry ingredients are moist. Add the heavy cream and vanilla and continue mixing on low for 2-3 minutes until any white streaks from the cream have completely disappeared into the mixture. Scrape down the sides of the bowl with a spatula. 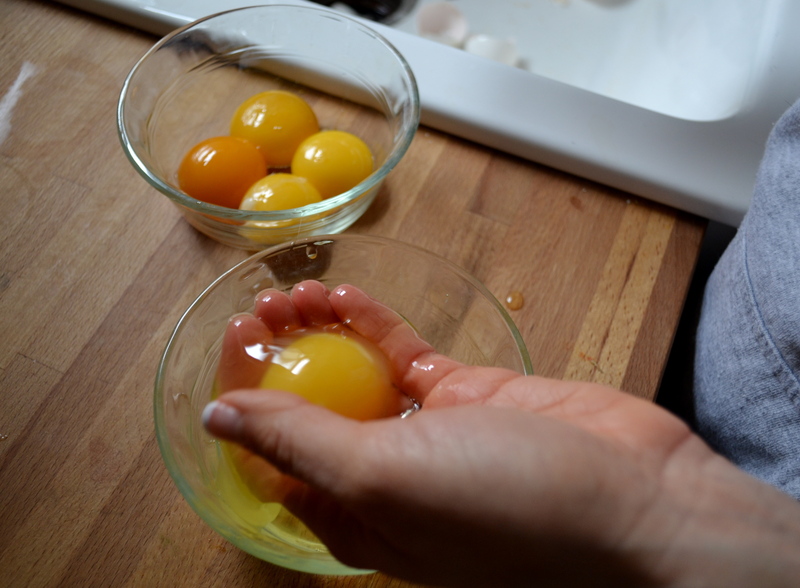 Add the egg yolks, paddling them into the mixture just to combine; be careful not to aerate the mixture, but be certain the mixture is glossy and homogenous. Mix on low speed until it is. The filling should be used immediately. But it can also be stored in an airtight container in the refrigerator for up to 1 week. 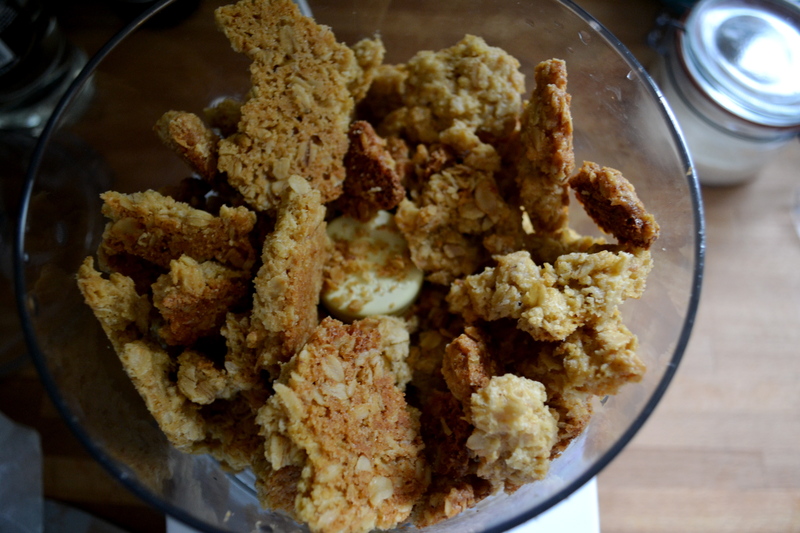 Put the oat cookie from above in a food processor with the melted butter and salt. Pulse the food processor until the cookie is broken down into a wet sand. The ground cookie mixture should be moist enough to form into a ball. If it is not moist enough to do so, melt an additional 1-1 ½ tablespoons butter and knead it in. Divide the oat cookie crust evenly between two 10-inch pie tins. Using your fingers and the palms of your hands, press the oat cookie crust firmly into each pie tin, making sure the bottom and sides of the tin are evenly covered. Use the pie shells immediately, or wrap well in plastic and store at room temperature for up to 5 days or in the refrigerator for up to 2 weeks. Put both pie shells on a sheet pan. 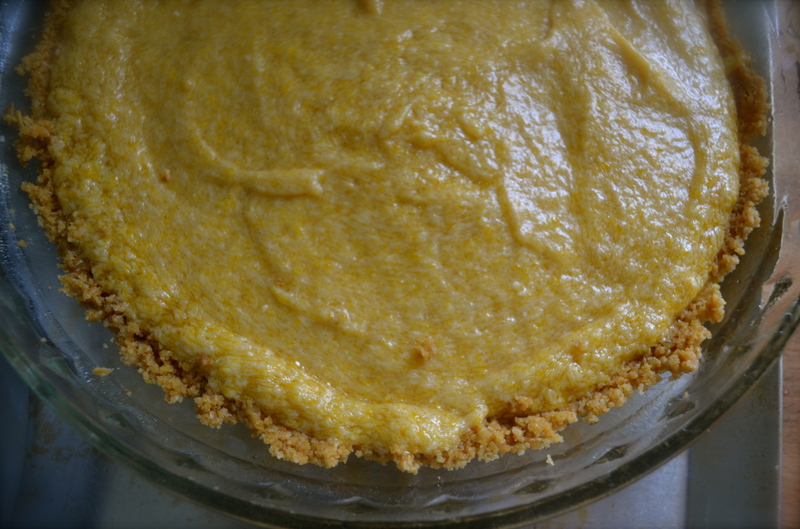 Divide the crack pie filling evenly between the crust, filling the pies to ¾ of the way full. I recommend baking them separately. Bake for 15 minutes only. The pies should be golden brown on top but will still be very jiggly. Open the oven door and reduce the oven temperature to 325 degrees, keeping the pie in the oven during this cool down process. When the oven reaches 325 degrees, close the door and bake the pies for 5 to 10 minutes longer. The pies should still be jiggly in the bull’s-eye center but not around the outer edges. Gently take the pan with the pie on it out of the oven. Transfer the pie to a cooling rack. Once slightly cooled, transfer the pies to the refrigerator. Then freeze your pies for at least 3 hours, or overnight, to condense the filling for a dense final product. According to the recipe, freezing is the signature technique and result of a perfectly executed crack pie. If not serving the pies right away, wrap well in plastic wrap. In the fridge, these pies will keep fresh for up to 5 days; in the freezer, they will keep for 1 month. Transfer the pies from the freezer to the refrigerator to defrost a minimum of 1 hour before you’re ready to get in there. Serve cold, decorated with confectioners’ sugar, either passing it through a fine sieve or dispatching pinches with your fingers.